PC gamers might want to take advantage of this offer: 250 GB Samsung 840 SSD to speed up their OS and combine it with the latest Far Cry 3 game. Yet another tech deal for Black Friday! Gamers that want to kill two birds with one stone can take advantage of this offer: 250 GB Samsung 840 SSD to speed up their OS and combine it with the latest game in the Far Cry series — Far Cry 3. This offer stands from Black Friday until Cyber Monday (November 22nd to November 26th), or until supplies run out at retailers like Amazon or TigerDirect. 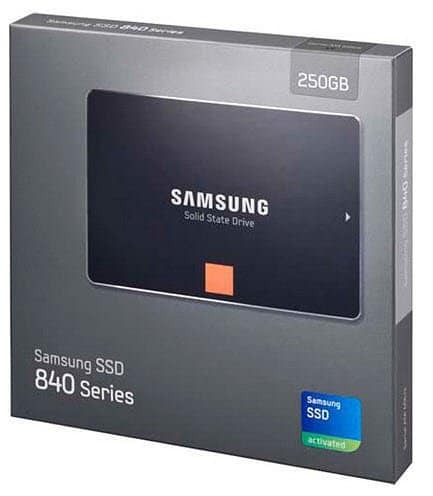 Here’s the details: Buy a Samsung SSD 840 drive – the 250 GB version – for $169.99 which is $20 off the normal price. You will then be given the a code which will allow you to download and install Far Cry 3. Since the game alone is $59.99, you’re getting a $79.99 rebate for the drive in total. The games official release date is December 4th in the US and the end of November in the UK and Australia. The press release doesn’t state whether you actually get the game earlier, but I would guess not. A few weeks ago we talked about how to greatly extend the life of an old computer or laptop using an SSD drive so now’s your chance! Black Friday has Arrived — Please be Safe and Don’t Die!